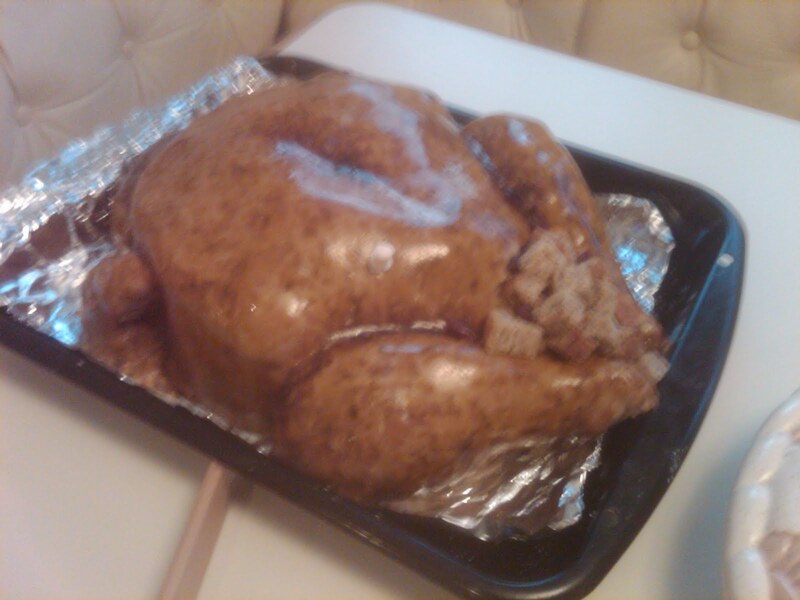 MULRYJEWELS: Seen and Heard: thanksgiving!! It is made of layers of chocolate and yellow cake sculpted into the body and Rice Crispy Treats for the wings and legs. Cake is crumbcoated and then covered in colored fondant. Then we had fun stipple painting the body for the "roasted look." We finised by "stuffing" it with some Banana bread. What a reception this cake got once we got to our party! Happy Thanksgiving to all and may the shopping season be fruitful! Are you kidding me??? That is unbelievable! I am impressed and had to keep looking at it! What an edible piece of art! Thank you for sharing!